YAY! NII-SAN FIXED MY SCANNER! I CAN POST AGAIN! WOOOO!!!! okay, yeah, i'm a teenage girl, i still play the older pokemon games, they're way cooler than the new ones. The original 150 were kickass, after that, things started to wear a bit. but that's just my opinion. i had the random urge while playing yellow version ( i love that fracking pikachu) to draw a pokemon fan character. he uses fire and phsycic types (my own personal favorites) and i was thinking his name would be something like sai (sounds like phsycic, doi)but i'm open for suggestions. He's...well..wow! If you're still looking for a name maybe Alex or Alexander or something like that? Try getting FireRed or LeafGreen: they let you play the whole first games over again with the original 150! <3 'Tis a remake that I love. 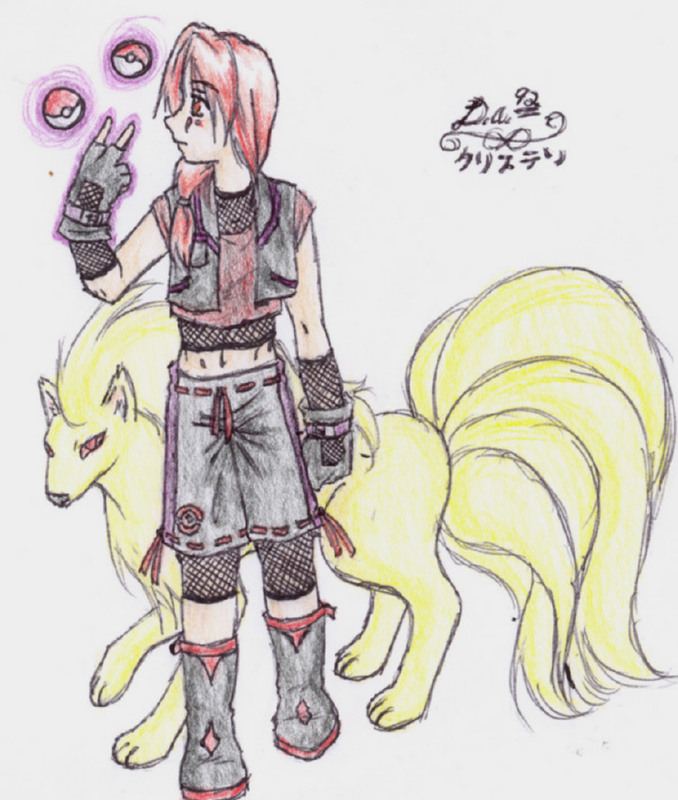 As for a name, I like Blaze for the Ninetails and Ren for him. Can't say why. ^.^;; Ah, well. Good job! Hey have you played rescue red or blue yet? It's better then the originals!!! It's got this deep plot and everything.... And very nice ninetails.